A large number of global environmental datasets have become freely available during recent years. On the face of it, this seems to be good news for scientists, but in some East African countries this can be a very complicated issue. The reliability and applicability of these datasets is often dependent on ground validation but in some cases this deluge of free data is preventing governments from investing in the required ground-based monitoring systems. Reviewing published literature reveals that Geographic Information System (GIS) data, remotely sensed (RS) data, and weather data are among the most popular types of freely available online data. For example, the USGS, Consultative Group on International Agricultural Research (CGIAR), and the International Livestock Research Institute (ILRI) all provide free geospatial data such as GIS shapefiles, satellite images, and digital elevation models (DEMs). Free global weather data for Soil and Water Analysis Tool (SWAT) model is available from the from the Climate Forecast System Reanalysis (CFSR) database. The CFSR data include hourly gridded, global, satellite-sensed climate information that can be easily downloaded. It is very useful for areas that lack any ground-based weather records, as well as for areas that have gaps in their ground-based data. 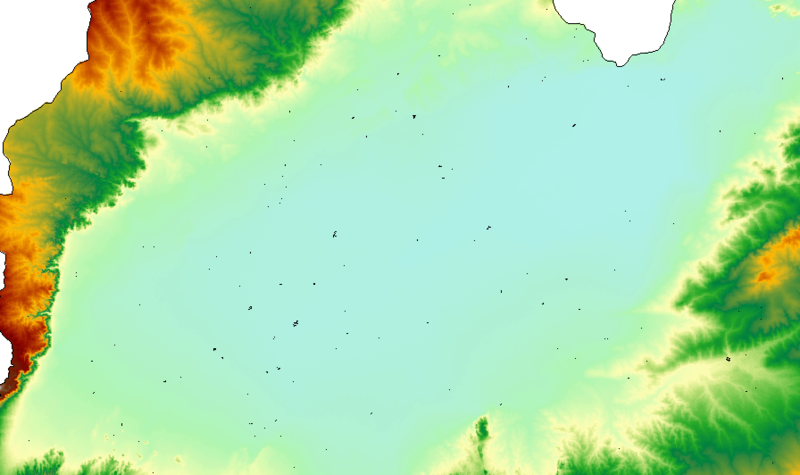 Hydrologists also use satellite-derived DEMs for watershed delineation. A number of hydrological studies carried out in sub-Saharan African countries (mainly in Ethiopia, and to a lesser extent in Tanzania and Kenya) have made use of freely available online weather data, remote sensing images, and DEMs. There are two schools of thought concerning the reliability of these datasets as “ready to use” products. For example, some scientists argue that the CFSR weather data can be reliably used in watershed modeling across a variety of hydro-climatic regimes and watersheds, but others disagree claiming that river flow simulation models perform better using conventional ground-based weather data than using CFSR weather data. If this is correct then CFSR weather data is clearly no substitute for high-quality weather observations and local (observed) data. It is required to correct bias in CFSR weather data (Figure 1). The same applies to DEM data: despite the free availability of global STRM (30m resolution) DEM data, some secondary processing, including the filling of voids, is required to improve the quality of the data and make it suitable for use (Figure 2). The observations indicate that a number of political and bureaucratic challenges remain in Tanzania, making the concept of free data paradoxical at present. First, global CFSR weather data is available free of charge but the data that are required for bias correction have to be purchased from the Tanzanian meteorological agency or from river basin authorities. Second, some RS imagery data for particular dates are not available online and must therefore be purchased in the form of still images. Finally, the validation of model outputs poses an extra challenge for hydrologists: for example, simulated river flows require observed land-based (gauge station) data for validation, which also have to be purchased. The availability of free global weather and geospatial data has therefore only partly solved the data availability problem for geographers and hydrologist in sub-Saharan African countries such as Tanzania. The rest of the solution lies in the hands of the governments, who need to make the geospatial, river flow, and weather data collected using tax payers’ money freely available. Free national data availability will allow the full potential of existing, freely available, global geospatial and weather datasets to be realized. Only when these satellite-derived datasets can be fully calibrating against ground-based data will scientists be able to provide the essential environmental information and hazard assessments required to save lives and expand the local economy. This post is part the series published by students of the East Africa Summer school on “collecting, processing and presenting information in bio-geo-sciences”, introduced by Prof. Martin Trauth in a previous snack. 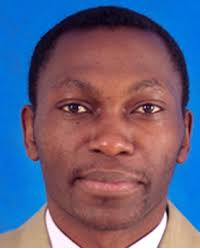 Canute Hyandye is an Environmental Scientist and Engineer. He is specialized in applications of GIS and Remote Sensing in Hydrology. He is now a PhD fellow at Nelson Mandela African Institution of Science and Technology,Arusha,Tanzania. He is one of the Volkswagen Foundation Summer School alumni (VFSS East Africa-2015/2016). His research interests are Watersheds Hydrology, Climate and climate change and variability, ecological modeling and hydro-geology. One of his research achievements includes the development of Eco-Vulnerability Evaluation Model for Ma Keng Mining in Fujian, China. A GIS and Remote Sensing based model. He is currently carrying out research activities in Usangu Catchment in Rufiji Basin, Tanzania which is related to Ground-surface water balance in relation to climate variability and landuse/cover change. Tagged bias correction, Climate data access, free weather data, weather satellite. how you managed to do that? I am also using the same data set for modelling.